If you travel another 2300 miles into that horizon you’ll reach Newfoundland. 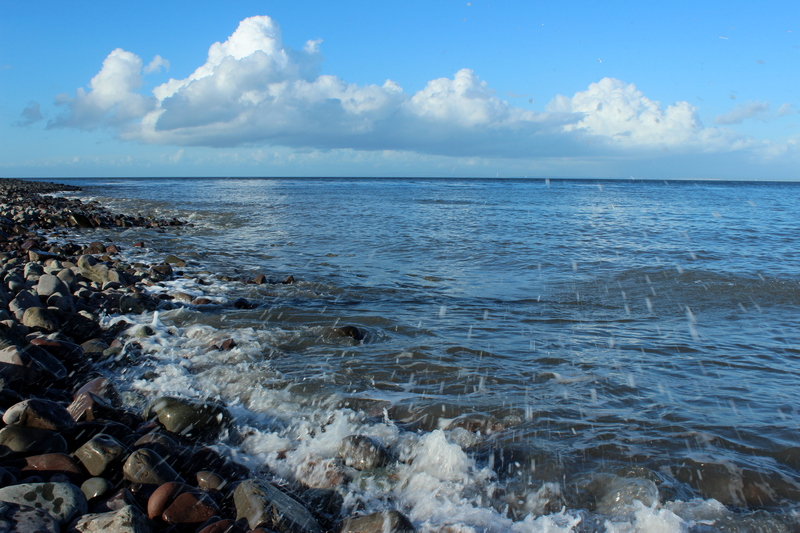 The water breaking onto the pebble beach of Porlock Weir in Somerset has travelled pretty much that distance since it last saw land. Lovely poem, they work very well together! One of my all time favourites- it’s wonderful!